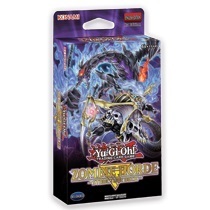 Straight from the animated series to real life, Soulburner’s Salamangreat Deck from Yu-Gi-Oh! VRAINS offers monsters a new lease on life with its “reincarnation” strategy! Salamangreat powers up its boss monsters in a unique way. By sending your first copy of a “Salamangreat” boss monster to the Graveyard to Summon your second copy, the new one is granted an extra ability far beyond what it had in its first life! 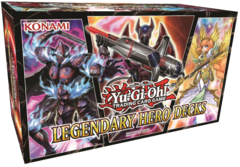 For Link Monsters, like Salamangreat Heatleo, you normally can’t just replace one copy of the monster with another, but the Salamangreat Sanctuary Field Spell makes it possible! 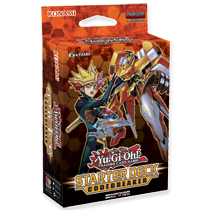 Structure Deck: Soulburner comes with a brand-new Link Monster that adds Salamangreat Sanctuary from your Deck to your hand and has a protective effect that works from the Graveyard to help support your reincarnated “Salamangreat” monsters. 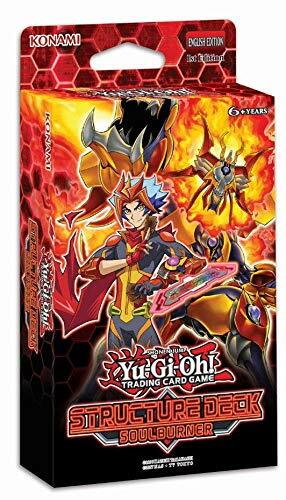 Structure Deck: Soulburner primarily focuses on Link Summoning, but you can add cards from Soul Fusion and Savage Strike to this Structure Deck to expand its capabilities to include Ritual Summoning and Fusion Summoning as well! This Deck also comes with an expanded 6-card Extra Deck to accommodate its monster-hungry strategy. 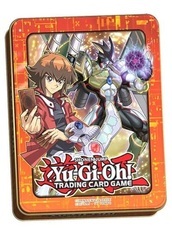 Contents: 40-card Main Deck, 6-card Extra Deck, Beginner’s Guide Double-sided Deluxe Game Mat/Dueling Guide. Card Breakdown: 39 Commons, 4 Super Rares, 3 Ultra Rares.